Author Chuck Palahniuk is planning a sequel to his hit novel turned movie Fight Club but rather than a prose sequel, he plans to continue the story in graphic novel form. Palahniuk plans to create a series of books (not sure if this means comic books or trades) set ten years after the events of the original. Specifically, Jack and Marla are married, and things are going well enough until their son is kidnapped by Tyler Durden and Jack is once again dragged back into the dark and messy world of Project Mayhem. Sounds amazing! Sounding like something out of the “SNL” sketch “Best of Both Worlds” in which Hugh Jackman interviews action heroes who also sing and dance, comes “Wolverine: the Musical.” Featuring an all puppet cast of X-Men and Marvel characters and plenty of Broadway spoofs, this had us LOLing for reals. None of that claiming you just laughed out loud when you only found it vaguely amusing nonsense. Trust us, try not to giggle during the “Music of the Night” parody complete with Alpha Flight reference. SyFy has been busy little bees lately, and their latest non-shark project is a post-apocalyptic retelling of The Wizard of Oz. 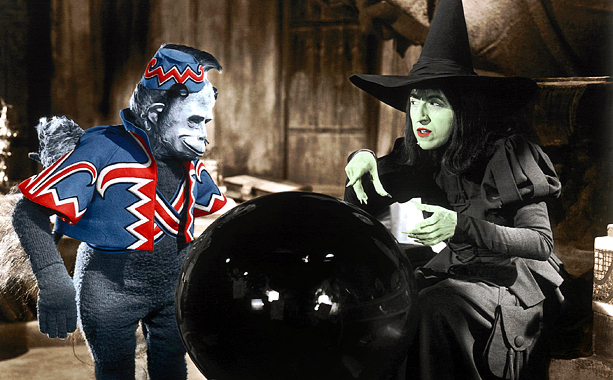 In this version Dorothy is now a man, he has been sent to Oz to defeat the wizard and his fellow battle mates are named Heartless, Brainless, and Coward. This network is nuts, and we love it. This should not be confused with the Warner Bros. project “Red Brick Road,” which is touted as “Game of Thrones” set in Oz but with more robots. No, really. Every once in a while a fanfiction comes along that is so terrible that it makes you wonder how the person who wrote it hasn’t been picked off by natural selection yet. Such is the case with the infamous Harry Potter story “My Immortal” about “goffick” witch Ebony (occasionally Enoby) Dark’ness Dementia Raven Way who goes to Hogwarts and is able to seduce Draco Malfoy, Harry Potter, and Voldemort. In a fabulous turn of events, that same story is currently being turned into a webseries, with spelling and grammar errors kept intact plus 100% more Morrissey. Head over to YouTube to witness the awkward. 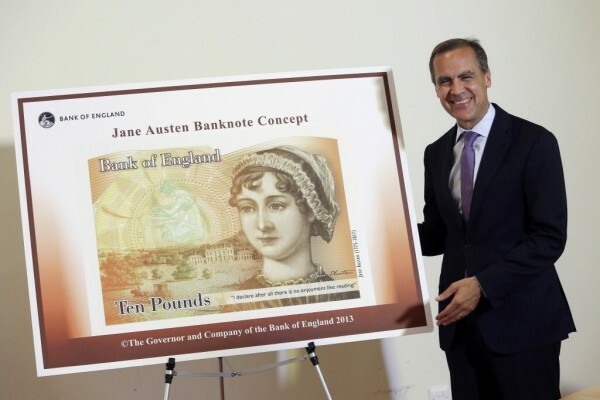 Author Jane Austen will be the new face of the ten pound note in England in 2017, because Charles Darwin is just so 1999. Austen will be the third non-royal to make her appearance on currency, the other two being famous nurse and statistician Florence Nightingale and Elizabeth Fry who helped to reform the prison system to make them more humane. Fry was later replaced with Winston Churchill and as a result of the outcry that the only woman on currency was the Queen the Austen note was implemented. You can see a concept shot of the money above being shown off by fake Mr. Rogers. According to Benedict Cumberbatch, series three of “Sherlock” is shaping up to be amazing, and then he let slip that he’s been optioned for two more series (a fourth which we already knew about and now a fifth) which he wasn’t sure if he was allowed to announce. Whoops! As for right now, series three is set to be done filming soon and then we’ll get a release date. Read: we’ll get a release date for when we have to use Pirate Bay to get our hands on the episodes that aired super ahead of time in England. Thanks a lot PBS! 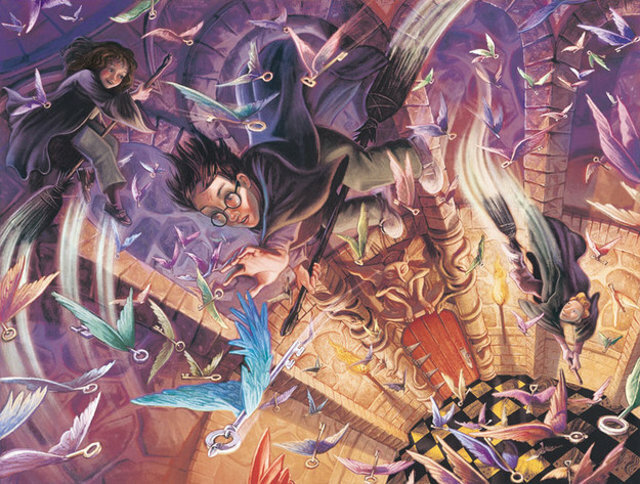 Mary GrandPré, the artist behind the Harry Potter book covers in America has released a slew of previously unpublished paintings from the series. Which we may have seen while we were at Infinitus in 2010, but honestly we can’t remember. That was a long time ago and we drank a lot of Infinitus Punch and whatever we stole from the Snarry Suite. You can check out all 16 photos over on Geekologie just try not to cry over your lost youth or anything. When we were your age, we had to wait years before we could find out if Harry was a horcrux or not! In “no one can have an original damn idea in their heads” news, Dracula is getting yet another reboot. One that has nothing to do with the confusing NBC television series or that not picked up Showtime series that also featured Dorian Gray and Dr. Frankenstein. In this remake, Luke Evans plays Dracula, Eponine herself Samantha Barks will join him as witch Baba Yaga who is in this story for some reason and Rickon Stark will play Dracula’s son. You know, since he’s been missing for over two books and all. As for Frankenstein news, James McAvoy will be playing Dr. Frankenstein to Daniel Radcliffe’s Igor. I.e. This is not the Aaron Eckhart, “Buffy” rip-off version or the Benecio Del Toro/Benedict Cumberbatch reboot. Ugh, this is getting confusing. 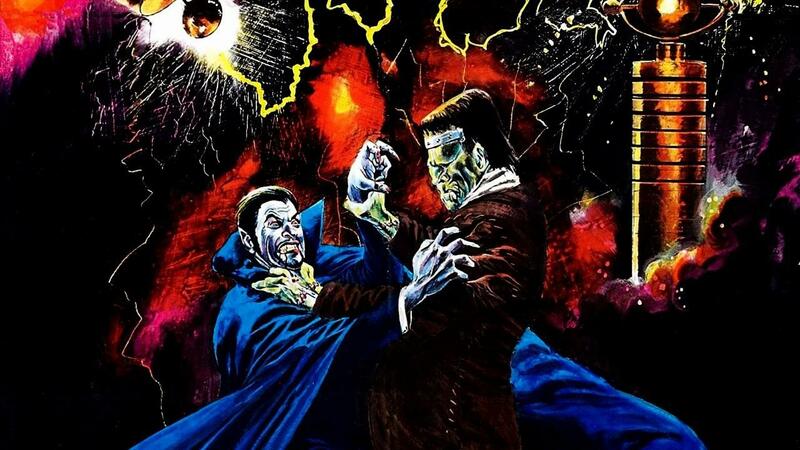 Can we just call them Harry Potter/Professor Xavier Frankenstein, Two-Face Frankenstein and Sherlock Frankenstein?